To his inner circle, Ryan Wilson, part of the fourth-generation clan that owns Lawry’s the Prime Rib, is affectionately known as “that damn grandson.” The story goes that when he was a young chef overseeing changes at Five Crowns, the family’s Orange County restaurant, he made the menu more, let’s say, artisanal. The regulars weren’t having it. 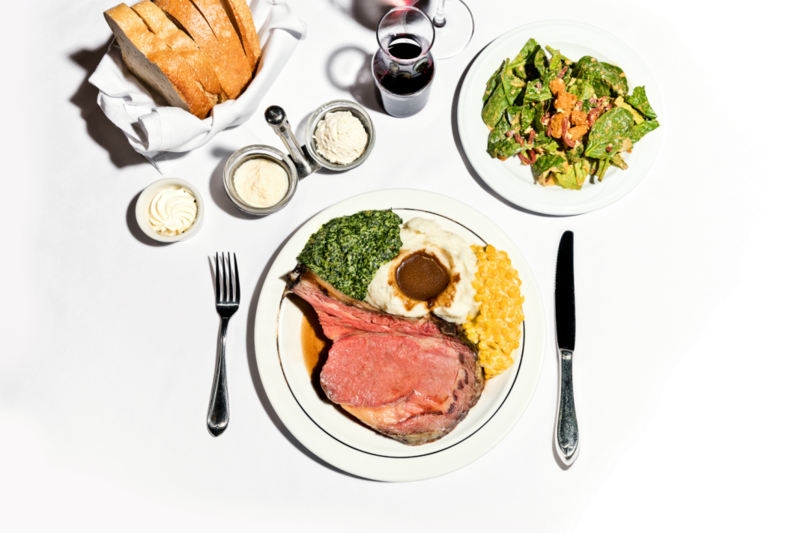 You heard that right: Lawry’s the Prime Rib, a La Cienega Boulevard icon since 1938, is changing. But don’t panic. The silver carts, table-side spinning salads, and, of course, the prime rib aren’t going anywhere. When you show up this holiday season, though, you’ll notice an expanded bar, fancier cocktails, and a renovated dining room. By next spring, lighter, seasonal side dishes and even vegetarian options will be added to the menu. Stability might be expected for a restaurant celebrating 80 years in business. Little has changed since Lawrence L. Frank, Wilson’s great-grandfather, and Walter Van de Kamp opened Lawry’s—with the exception of the restaurant moving across the street in 1947 and into a new building (constructed on the site of the original) in 1993. But a new generation is hungry, and the family sees the institution as adapting to feed it. A larger bar area now encourages pre-dinner drinks and snacks. More than 100 spirits are on display; new cocktails include seasonal sips made with shrubs and flavored liqueurs. There’s also draft beer—a first. The entry has been spruced up with new paintings and photos celebrating Lawry’s history. Designed by Susie Frank (Wilson’s aunt), the cosmetic changes will add “some nice brightness” to the room, says Wilson. A pastoral mural will be replaced with a “shimmer screen,” or kinetic sculpture. There are new light fixtures and high-back chairs; a mix of gold and emerald green lightens the brown color scheme. “It isn’t farmers’ market-driven, but we want to add seasonality,” Wilson says. That means new sides, such as grilled broccoli rabe, cauliflower “steaks,” and non-spinning salads, like a classic wedge, all due in early 2019.